The boundary issue between China and India has played an important role in the bilateral relations, though before 1950, only a India-Tibet border existed. Notes on the five sessions of border talks between India and China in 1960. The Indian Ministry of Defence published the Official History of the 1962 Conflict. The Sino-Indian boundary has never been formally delimited and there is only a traditional customary boundary line between the two countries. The location and terrain features of this traditional customary boundary line are now described as follows in three sectors, western, middle and eastern. The western sector refers to the section of the boundary linking Sinkiang and Tibet of China with Ladakh; the middle sector, the section of the boundary between China’s Tibet on the one hand and India’s Punjab, Himachal and Uttar Pradesh on the other; and the eastern sector, the section of the Sino-Indian boundary east of Bhutan. The incursions into parts of the territory of the Union of India, across our traditional and well understood borders, by elements of Chinese forces have, …deeply distressed our people and evoked legitimate and widespread resentment. They impose a great strain on our resources and our nationbuilding endeavours. We regret and deplore these developments on our border. They’ have resulted from the disregard by China of the application of the principles, which it had been mutually agreed to between us, should govern our relations. My Government have taken prompt and calculated measures, both defensive and diplomatic, to meet the threat to our sovereignty. The boundary between India and China along its entire length has been well known for centuries and is defined by treaty or international agreements or recognised by custom and tradition. It follows unchanging natural features and is in the main marked out by the Himalayas which are inseparably bound up with our frontiers as, since the dawn of our history, they are interwoven with the fabric of Indian civilisation. 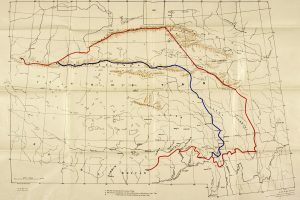 The historic northern frontiers of India are so well established that there could be no doubt, except to a mind pre-possessed otherwise, as to where the customary boundary lay. No Chinese Government called it in question in the past. When nobody supported China, India took your side and put up your case in the United Nations and forged friendship with you. You accepted the principles of Panchasheela. India accepted your sovereignty over Tibet, but you had accepted the condition that Tibet’s autonomy would be respected and that you would not interfere with it. At the invitation of the Prime Minister of India, Shri Jawaharlal; Nehru, His Excellency Mr. Chou En-lai, Premier of the State Council of the People’s Republic of China, arrived in Delhi on the 19th April to discuss certain differences relating to the border areas which have arisen between the Government of India and the Government of the People’s Republic of China. His Excellency Mr. Chou En-lai was accompanied by His Excellency Marshal Chen Yi, Vice-Premier of the People’s Republic of China, His Excellency Mr. Chang Han-fu, Vice-Foreign Minister of China, and other officials of the Chinese’ Government. His Excellency the Premier and his party concluded their visit to India on the morning of the 26th April. Our whole argument was based on the Chinese forces having come into our territory. Their [Chinese] argument was that they had always been there not those particular forces, but the Chinese authorities either of Sinkiang in the north or of Tibet had been in constructive or actual possession of these areas for two hundred years. That was such a variance in the factual state that there was no meeting ground. We repeat, again after all these talks that their forces came into this area within quite recent times, in the course of the last year and a half or so. That is our case, to which we hold… In the prolonged talks that took place, this basic disagreement about historical and actual facts came up again and again. So far as the original Akasai Chin road was concerned, it was an old caravan route, hundreds and hundreds of years old. This has always been used as a caravan route by people going from Sinkiang to Tibet. 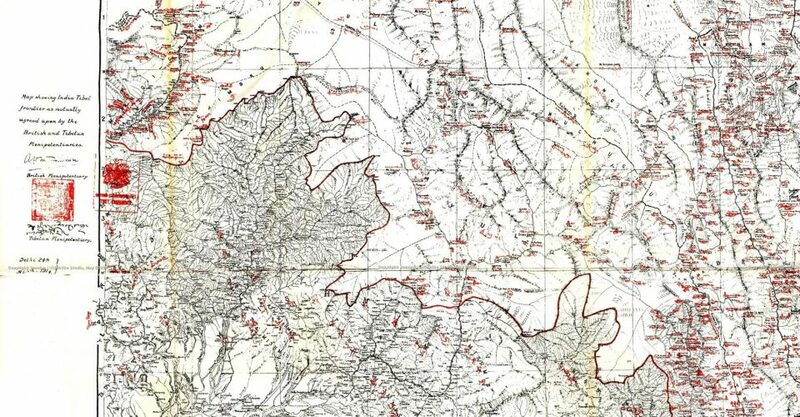 This and the near-by route were used by the Chinese forces, probably in 1951 or may be 1952, that is to say, soon after the Chinese Government came to Tibet. During the year under review, our relations with China suffered a serious setback. It will be recalled that in the middle of March 1959 there was a sudden uprising in Lhasa leading to. the outbreak of hostilities between the Tibetans and the Chinese forces and, as a consequence, the Dalai Lama, with a small entourage, left Lhasa on 17 March 1959. In view of the age-old cultural and religious relationship between Tibet and India, there was a spontaneous outburst of sympathy with the Tibetan people when the news of the disturbances was published in India. The Government of India made it clear that while they sympathised with the Tibetans in their aspirations for autonomy, they fully recognized the suzerainty of China and could not, in any way, intervene in the developments inside Tibet. When, however, the Dalai Lama sought refuge in India, the Government of India, in exercise of their sovereign right, agreed to grant asylum to him and to afford to the Dalai Lama the courtesy which befitted his recognized spiritual position. Neville Maxwell’s summary of the Henderson Brooks Report. This article first appeared in the Economic Political Weekly. Three conversations between Zhang Wenji, director of the Foreign Ministry’s Asian Affairs Department Number One, and Indian ambassador Parthasarathy. Addressed are the future of Sino-Indian relations, Sino-Indian border issues, and India’s focus on such issues as Bhutan, Sikkim and Pakistan. This collection of declassified analytic monographs and reference aids, designated within the Central Intelligence Agency (CIA) Directorate of Intelligence (DI) as the CAESAR, ESAU, and POLO series, highlights the CIA’s efforts from the 1950s through the mid-1970s to pursue in-depth research on Soviet and Chinese internal politics and Sino-Soviet relations. The documents reflect the views of seasoned analysts who had followed closely their special areas of research and whose views were shaped in often heated debate. Continuing public interest in the series, as reflected in numerous requests through Freedom of Information and Executive Order channels, led CIA’s Office of Information Management Services (IMS) to conduct a search of Directorate of Intelligence record systems for documents in this series and then undertake a declassification review of all the documents we located. The CAESAR, POLO, and ESAU CIA Papers Cold War Era Hard Target Analysis of Soviet and Chinese Policy and Decision Making, 1953-1973. The CAESAR, POLO, and ESAU Papers Cold War Era Hard Target Analysis of Soviet and Chinese Policy and Decision Making, 1953-1973.